Bulletproof Coffee is a "high-fat" coffee that is popular with people on a Paleo or low-carb diet. 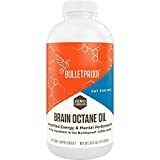 It was originally developed by Dave Asprey who now sells official Bulletproof Coffee branded ingredient components. Bulletproof Coffee's caffeine can vary, but we base our estimate off of Asprey's published recipe using the drip method of brewing. 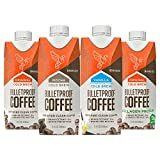 Bulletproof Coffee would have about the same caffeine as what is found typically in drip coffee because it calls for the same amount of ground coffee used to make a cup of drip coffee. Depending on the quality of the coffee beans as well as other factors, Bulletproof Coffee's caffeine could range from about 115-175 milligrams. Fans of Bulletproof Coffee say that the combination of healthy fat and caffeine gives them energy all morning long even without eating breakfast. How Does Bulletproof Coffee Compare? 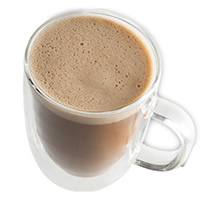 Bulletproof Coffee contains 18.12 mgs of caffeine per fluid ounce (61.29mg/100 ml).